A Christmas party for the upper crust of the small Texas town of Maycroft turns tragic when the hostess ends up dead. Everyone assumes her death is an accident—everyone except her daughter, Estelle. She turns to Deena to help solve the mystery. A jealous friend and a mysterious heir are just two of the likely suspects. Sharpe Edge is the second book in the Maycroft Mystery Series. A little romance, some snarky suburban competition, and a lot of mystery will keep you turning pages in this cozy whodunit. 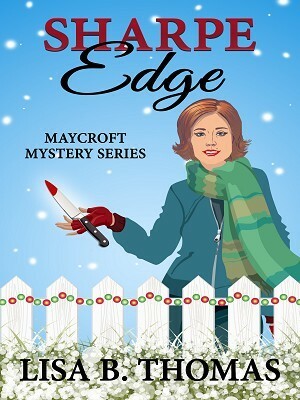 If you like a clean, cozy mystery with lots of guesswork, buy Sharpe Edge today!